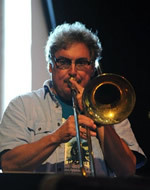 Rick Chamberlain, 63, a trombonist and a Local 802 member since 1976, died on March 27. Mr. Chamberlain had played with the New York City Ballet since 1976 as a regular sub and since 1998 as principal trombone. At age 16, Mr. Chamberlain was already playing with the Trenton Symphony Orchestra. He studied with Ed Cook, Wayne Andre and Phil Woods, and worked with Bob Newman’s house band at Mount Airy Lodge with Al Cohn and Dave Frishberg. Later in the Poconos, he would back up Cab Calloway, Tony Benett and others. Mr. Chamberlain earned his bachelor’s degree at the New England Conservatory where he studied with John Swallow, Jaki Byard and George Russell. He also was mentored by Phil Wilson, Gunther Schuller and Joe Maneri. 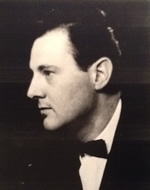 In addition to the New York City Ballet, Mr. Chamberlain played principal trombone with the American Composers Orchestra and the Westchester Philharmonic. He also played with the Brooklyn Philharmonic, New York Pops, Mostly Mozart and numerous jazz ensembles in the Poconos, where he lived. He toured, played or recorded with Harry Connick Jr., Joni Mitchell, Phil Woods, Chuck Mangione, Louis Bellson, Gerry Mulligan, Bob Dorough, Eric Doney, Paul Lavalle, Bill Watrous, Engelbert Humperdinck and his own bands. He also recorded jingles and played on Broadway. Mr. Chamberlain co-founded the Delaware Water Gap Celebration of the Arts. He also produced the Al Cohn Memorial Jazz Collection Library and taught at Lafayette College. Mr. Chamberlain is survived by his wife Darcy, daughters Emelia and Lauren, son Douglas, daughter-in-law Cherilyn, grandchildren Ryley and Lorna, sisters June and Janet, brother-in-law Steve, and his wife’s brother and sister Chris and Sue Koehler and many nieces and nephews. The family suggests donations to the Delaware Water Gap Celebration of the Arts (see www.cotajazz.org). Some of the information above came from the web sites of the New York City Ballet Orchestra and the William H. Clark Funeral Home. There will be a celebration of Mr. Chamberlain’s life on Friday, May 29 from 3 p.m. to 7 p.m. at the Castle Inn in Delaware Water Gap, Penn. 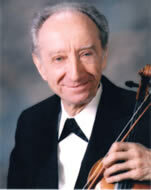 Israel Chorberg, 85, a violinist and a Local 802 member since 1966, died on March 28. Mr. Chorberg was born in Montevideo, Uruguay and was the son of Polish immigrants Nachman Chorberg and Taube Mendelsberg. He began playing the violin at age 9, studying with Huna Gleizer, Ilya Fidlon and Camilo Giucci, recording many works by Uruguayan composers and winning a place in the prestigious SODRE Quartet. In 1960, he became the first Latin American violinist to win a scholarship from the Ministry of Culture of the USSR to study at Moscow’s Tchaikovsky Conservatory for three years. In 1966, he came to the U.S. and was hired by Leopold Stokowski as assistant concertmaster for the American Symphony Orchestra. When Stokowski decided to return to Britain, he asked Mr. Chorberg to join him as concertmaster, but Mr. Chorberg decided to stay in New York. For 15 years, Mr. Chorberg played under impresario Sol Hurok as concertmaster for all the foreign ballet companies performing at the Met. He served as concertmaster of the American Ballet Theatre throughout the 1970s and played with many other orchestras, including Mostly Mozart, Pro Musica and the New York Philharmonic. After the fall of the Uruguayan military dictatorship in 1985, Mr. Chorberg organized and performed in a critically acclaimed chamber music series with distinguished Uruguayan soloists. During his career, Mr. Chorberg also played on many best-selling records and movie soundtracks, including albums by Tony Bennett, Madonna and Whitney Houston. In the early 90’s he played with the trio Musica Hispana, and from 1997 on he performed with his wife Tamara Kezerov in Lithuania, Ukraine, Russia, Argentina and the U.S.
Mr. Chorberg is survived by his wife Tamara, daughter Adriana Sananes, son-in-law Pablo Zinger, granddaughter Sofía, brother Abraham, and Tamara’s children Andrea Aguerriberry and Martin Untrojb, their spouses Claudio and Cheryl, and their children Ilana, Natasha, Benjamin and Jason. Peter James Dimitriades, 93, a violinist and a member of Local 802 since 1943, died on March 14. Mr. Dimitriades began his distinguished and eclectic career by winning first prize at both the Chicago Young Artists Competition and the Indiana State Violin Contest. He attended Chicago Musical College as an Oliver Ditson scholar and earned his undergraduate and master’s degrees at the Manhattan School of Music. After serving as the principal second violinist for the Dallas Symphony, he moved to New York City in 1950 to become the assistant concertmaster at Radio City Musical Hall Orchestra. He also performed as concertmaster for the Little Orchestra Society, National Orchestra Association and the Robert Shaw Chorale and Orchestra for its 1956 tour of Europe and the Middle East. Along with being a member of the Classic String Quartet and the American String Quartet, he performed with the New York Philharmonic, Metropolitan Opera, Musica Aeterna, Master Virtuosi of New York and the Symphony of the Air. Mr. Dimitriades also amassed an impressive discography as a freelance session musician on hundreds of recordings of Broadway musicals, soundtracks, jingles and commercials, as well as studio albums by Frank Sinatra, Tony Bennett, Barbra Streisand, Michael Jackson, Billy Joel, the Backstreet Boys, Frankie Valli, Carly Simon, Stevie Nicks, Wynton Marsalis, Luther Vandross, Roberta Flack, Shirley Bassey, Herbie Mann and Chaka Khan, and many others. He also toured with Tommy Dorsey and Frank Sinatra, from the 1950s all the way to Mr. Sinatra’s “80 Years My Way” final concert in 1995. 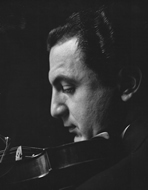 In his later years, Mr. Dimitriades moved to Salisbury, Connecticut, and taught violin at Simon’s Rock College and the Hotchkiss, Berkshire and Indian Mountain schools. He was married to opera soprano and voice teacher Ruth Lansche. He is survived by his two daughters – Nadia, an artist, and Tatiana, a violinist with the Boston Symphony Orchestra – and three grandchildren. Lesley Davison Perrin, 83, a songwriter and guitarist, died last year, on June 25, 2014. She had been a member of Local 802 since 1961. Ms. Perrin was the widow of the bandleader Forrest Perrin. She wrote songs for many musical revues, including 12 revues for Julius Monk, “Coconuts!” at the Coconut Grove Playhouse (Florida), “Varieties!” at Rainbow & Stars in New York City, and “Secrets Every Smart Traveler Should Know,” which appeared Off Broadway. She wrote for “Laugh-In,” “The Dean Martin Show,” “The Today Show” and “The Tonight Show.” She contributed material to the cabaret acts of Ruth Buzzi, Jo Anne Worley, Nancy Dussault, Claiborne Cary, Anne Francine and Mabel Mercer, and to 13 comedy record albums. 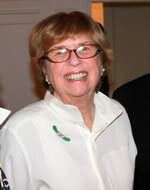 “Political Party – 40 Years in Revue,” one of her last albums, was a compendium of 28 revue songs written about presidential politics covering the years 1961 to 2001, starring Walter Bobbie, Ruth Buzzi, Mary Louise Wilson, and the casts of the Crystal Palace in Aspen, Colorado, and the Julius Monk revues. She is survived by two children, Scott Perrin and Wendy Perrin, and two grandsons. John Rosswork Ware, 92, a trumpeter and a Local 802 member since 1946, died on March 20. Mr. Ware attended Juilliard, but left after one semester to enlist in the Army after the attack on Pearl Harbor. He played in the Army Band of the 36th Combat Engineers Regiment, which later became the 7th Army Band. He participated in campaigns in Africa, Sicily, France and Germany. After returning from the war, he resumed his studies at Juilliard, where he met his future wife Frances Wilbur. Upon graduation, he won seats in the Buffalo Symphony, New York Symphony and the Dallas Symphony. 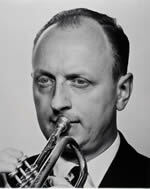 In 1948, he became a member of the New York Philharmonic, where he was named by Leonard Bernstein to be co-principal trumpet, a position he held for the next 40 years. Mr. Ware also served on the Local 802 Executive Board during John Glasel’s administration. After retirement, Mr. Ware moved to Virginia, where he continued playing trumpet at church and in a local amateur symphony. Mr. Ware is survived by his wife Frances, his daughter and son-in-law Donna and Jim Zocco, his son and daughter-in-law John and Paula Ware, and his brothers Stanley and Curtis Ware. He will also be greatly missed by his grandchildren Kristin Zocco Goldman and her children Patrick, Luci and Izabelle, Stephanie Zocco Cowardin and her son Colin, and James Ware Zocco. Other survivors include Johnathan Ware, Christopher Ware and Adam Ware and their families. The family suggests contributions to Kilmarnock United Methodist Church (www.KilmarnockUMC.org) or the CrossOver Healthcare Ministry (www.CrossoverMinistry.org). Ken Williams, 85, a copyist, arranger and trumpeter, died on March 10. He had been a member of Local 802 since 1962. Mr. Williams grew up in London. Throughout the 1950s, he copied for the bands of Johnny Dankworth, Jack Parnell, Humphrey Lyttleton and Ted Heath, among many others. Arrangers Kenny Graham, Eddie Harvey, Dave Lindup, Ken Moule and Norman Stenfalt saw their scores transformed into accurate and immaculate instrumental parts via Mr. Williams’ unerring hand. In the classical field, he worked for Boosey & Hawkes on compositions by Igor Stravinsky, Zoltan Kodaly and many others. Mr. Williams met John Lewis when the Modern Jazz Quartet first toured England, and their friendship continued after Mr. Williams emigrated to America in 1962. In 1980, Mr. Williams published “Music Preparation: A Guide to Music Copying.” The work quickly became an industry standard. In the later years of Mr. Williams’ career, he worked exclusively for Phillip Glass. He also served on the executive board of the American Society of Music Copyists. Mr. Williams is survived by his sister Shirley Enever and numerous nieces and nephews. Thanks to Ron Roullier and Don Aibel for furnishing information for this obituary. To report the death of a member, call Avelon Ramnath at (212) 245-4802.